Prominent China Scholar Says the Communist Party Is Near Death. China Says He’s Crazy. Who’s Right? Communist rule in China is unlikely to end quietly. A single event is unlikely to trigger a peaceful implosion of the regime. Its demise is likely to be protracted, messy and violent. I wouldn’t rule out the possibility that [President Xi Jinping] will be deposed in a power struggle or coup d’état. 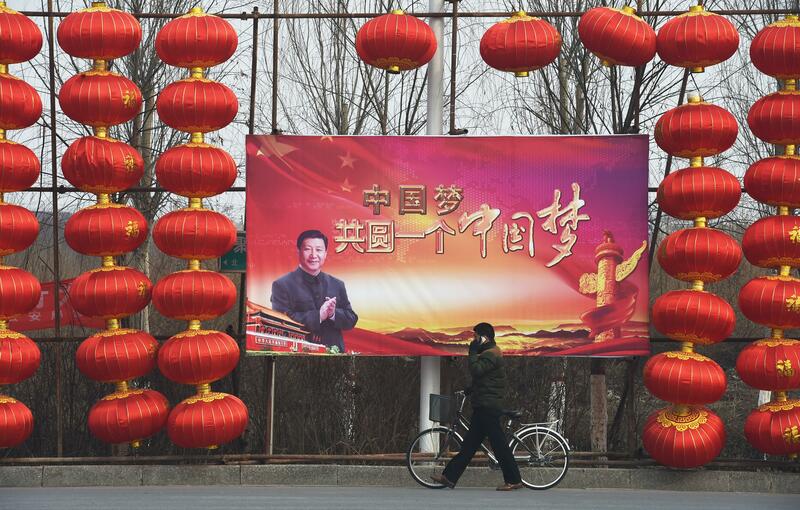 Predictions of the Chines Communist Party’s imminent demise aren’t unusual. This is actually the second one the Wall Street Journal has published this year. The columnist Gordon Chang has been continually kicking forward the expected date of the party’s collapse for over a decade. But China-watchers were stunned to see such a bold prediction from Shambaugh, director of the China Policy Program at George Washington University, a prominent and mainstream scholar whose work has, in the past, emphasized the party’s strength and adaptability. In January, China’s Foreign Affairs University ranked Shambaugh as America’s second-most influential China expert, an honor it’s probably regretting now. In his essay, Shambaugh identifies five signs of the coming crackup: the high number of wealthy Chinese who are emigrating or planning to do so, Xi Jinping’s ramping up of political repression under the guise of an anti-corruption campaign, his observation that senior Chinese officials are losing enthusiasm for the party’s priorities, the persistence of corruption at all levels of government, and the slowing economy. As interesting as the argument itself has been the reaction in China to the piece, which was published just as delegates were gathering in Beijing for the annual meeting of the National People’s Congress—one of the marquee symbolic events of the Chinese political calendar. Chen Weihua, a deputy editor at the English-language edition of the also government-run China Daily, was similarly critical, writing,“If Shambaugh is to be regarded a serious scholar, he has certainly not shown it in his latest article.” Pointing out that America also has problems with money in politics, Chen writes that Shambaugh’s “deep flaw is that he looked at China with a bias, completely ignoring the positive aspects,” a common complaint in China about U.S. media coverage of the country. If the Journal’s goal is to get a rise out of China, it seems to be pretty good at it. When I was in China in 2013 on a trip that involved a number of meetings with government officials, I was asked several times to account for a Journal editorial calling for the U.S. to overtly take Japan’s side in the Senakaku/Diaoyu islands dispute. The wide gulf between the views of the Journal editorial page and the Obama administration’s foreign policy seems to have been somewhat lost in translation. The conventional wisdom has been, and still is, that the party, which has weathered crises from the Cultural Revolution to Tiananmen Square, is strong and savvy enough to meet these new challenges. But Shambaugh’s argument isn’t just trolling. The warning signs he identifies are real and there are even more he left out, including the party’s tentative and confused response to last fall’s protests in Hong Kong, and indications, as demonstrated by the extraordinary recent success of the documentary Under the Dome, that the country’s pollution is becoming a galvanizing public issue. The party may not be on the verge of collapse, but the pressure is on.